The building and its past. 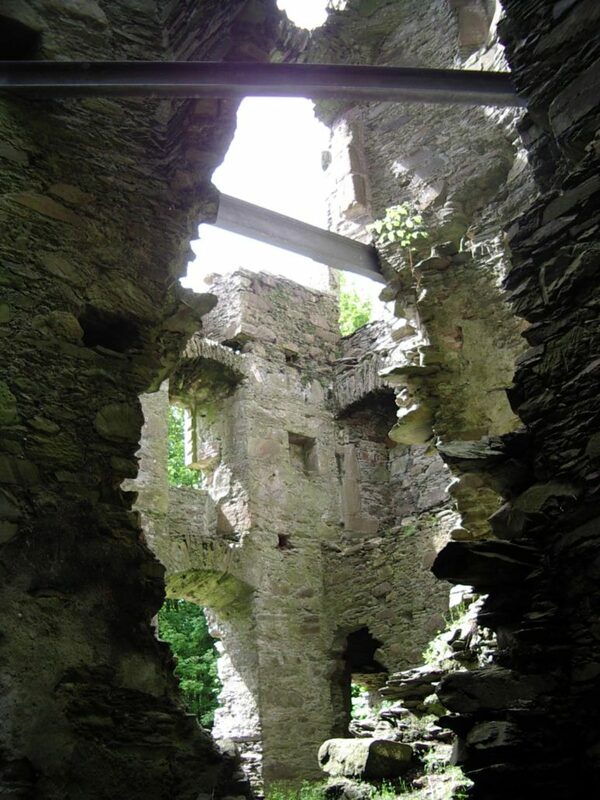 The site of the castle or tower house is about a mile east of Sorbie village and five miles south of Wigtown. It does not, at first glance, seem a strong position but it is built on an artificial defensive mound, adjacent to a 12th century motte, set amidst marshy ground – for the name, Sourby, meant a dwelling amid swamps. 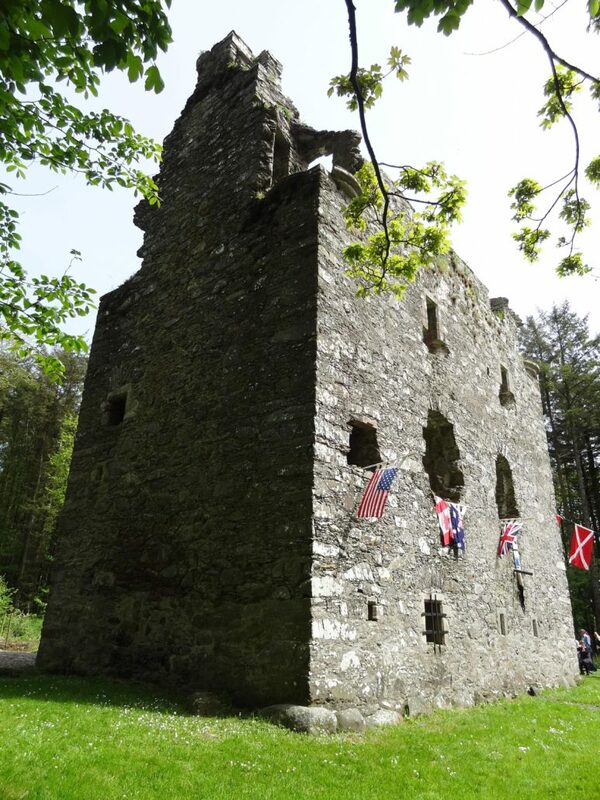 The present tower or as it was called, “The Old Place of Sorbie”, was built around 1550-1575 and was occupied until 1748. 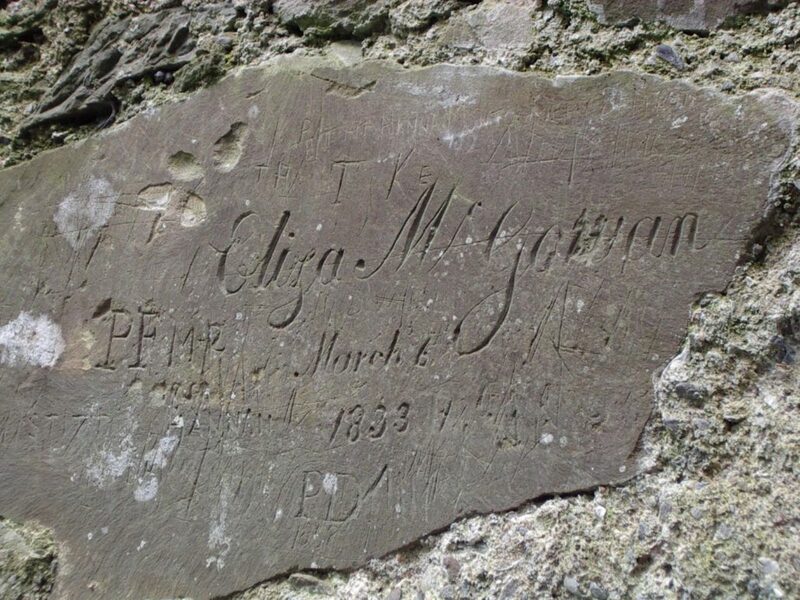 On the grounds close by is a mound which MacGibbon and Ross mention in their work, “The Castellated and Domestic Architecture of Scotland“. This mound may well be the one on which the Viponts erected a wooden structure of the Norman type. In 1983 the Archaeological Department of Glasgow University carried out a “dig” at the motte and found shards of pottery identified as from Bordeaux and dating to around 1250. They also found pieces of coins of Henry III of France 1574-1589. On the grounds, traces of the base of a flying bridge were found such as the one depicted in the Bayeux Tapestry and there is a fine buried cobbled road which runs east from the existing castle courtyard. This is an L-shaped building, more lofty and commodious than many of its kind. It rises to three storeys and has an attic in the main block. 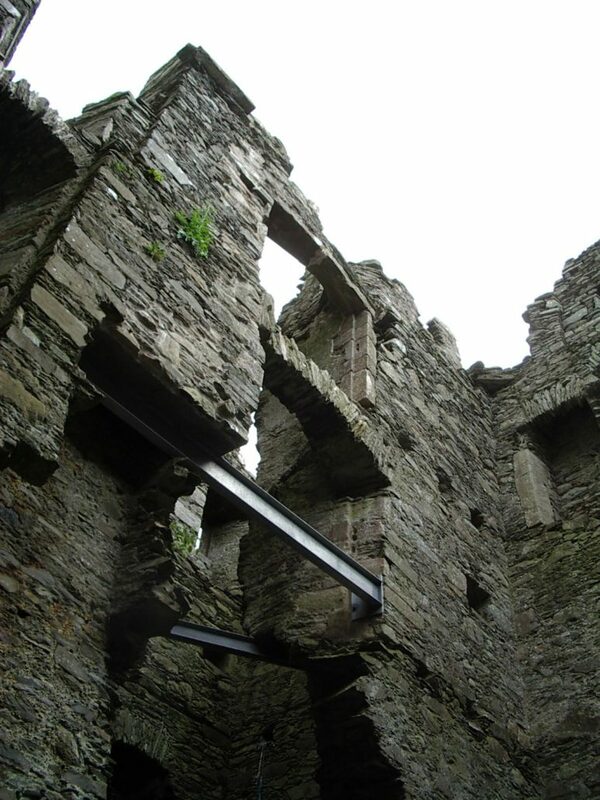 The wing is a storey higher and ends in a gabled watch-chamber. There is no parapet nor walk. 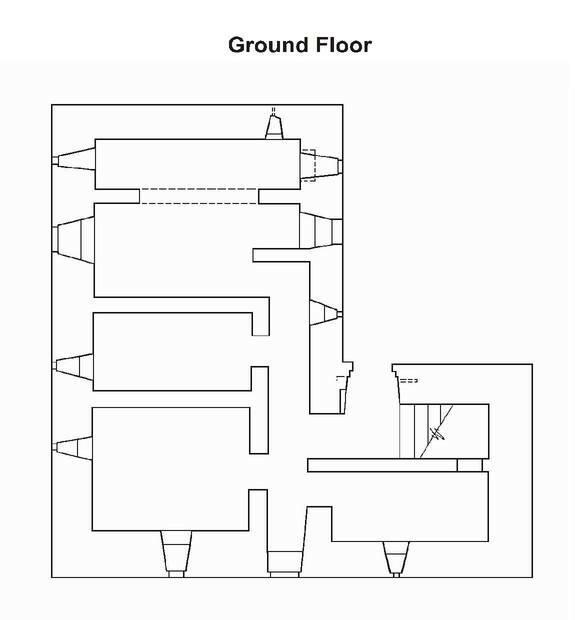 A tall stair-turret rises within the re-entrant angle above the first floor level. The bottom corbel of this turret is carved in the shape of a human head. 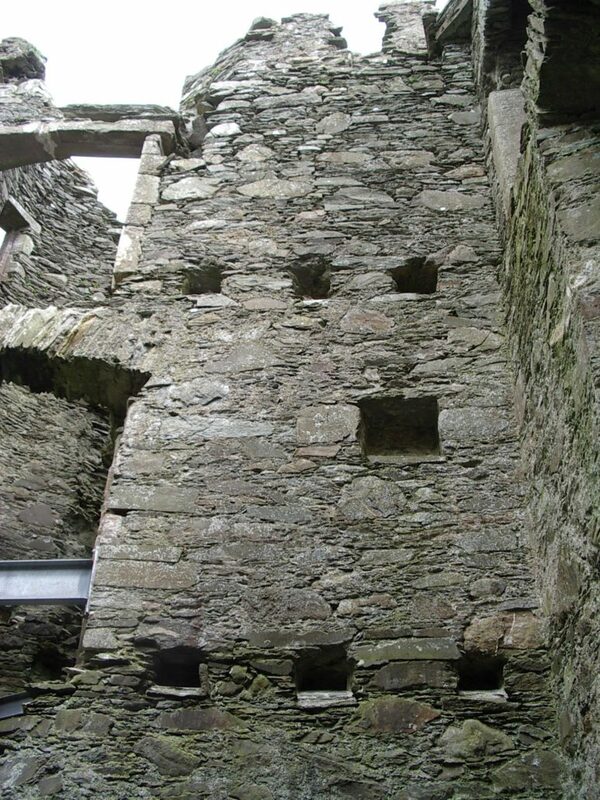 There have been angle-turrets at the corners now reduced to their corbeling. 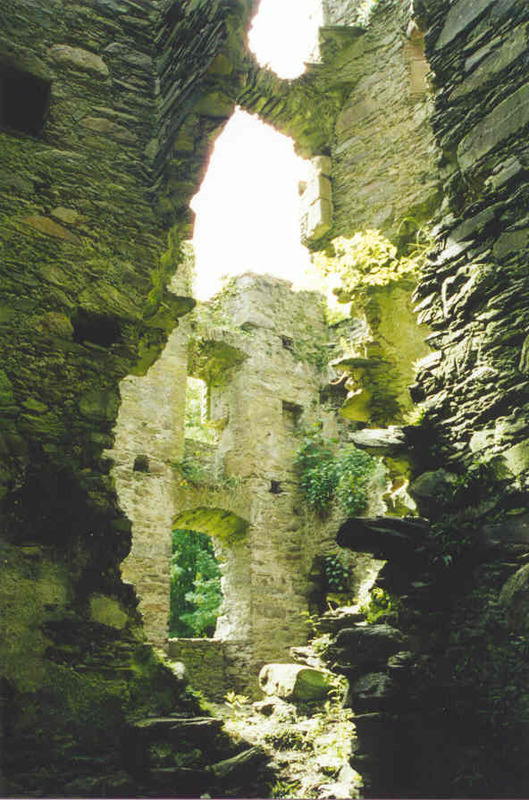 Much of the dressed stone of the windows has been removed. The entrance is in the usual position within the re-entrant and is surmounted by an empty panel-space. The door was defended by no fewer than three draw-bars, the deep sockets of which remain. 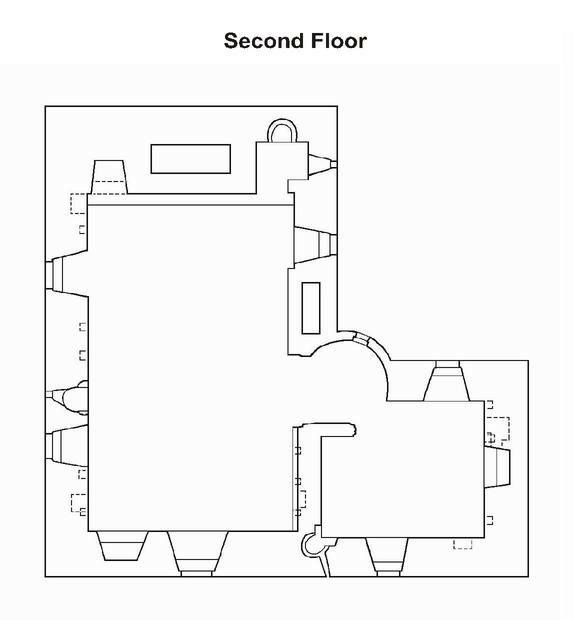 The ground floor consists of four vaulted apartments. The kitchen occupied the north end of the main block and had an enormous arched fireplace in the gable 17 feet wide by 5 feet deep. 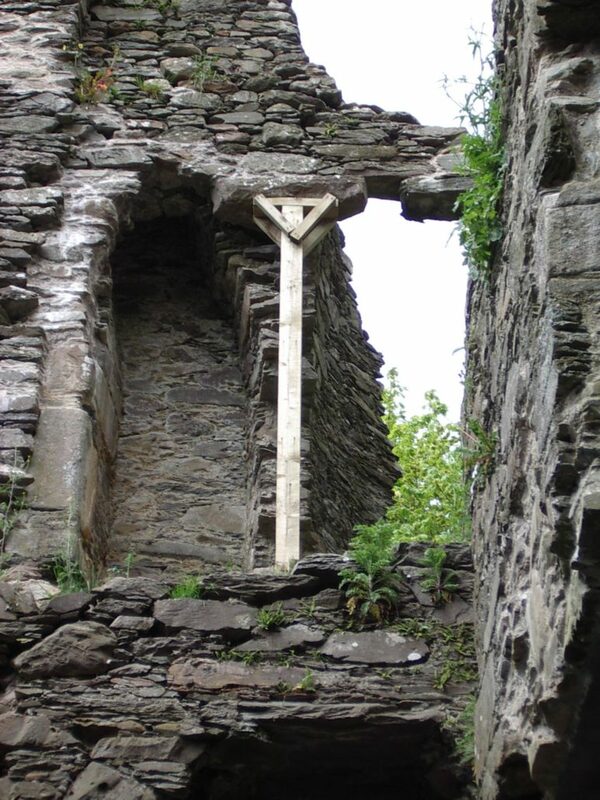 There is a small window at one end and an aumbry at the other. 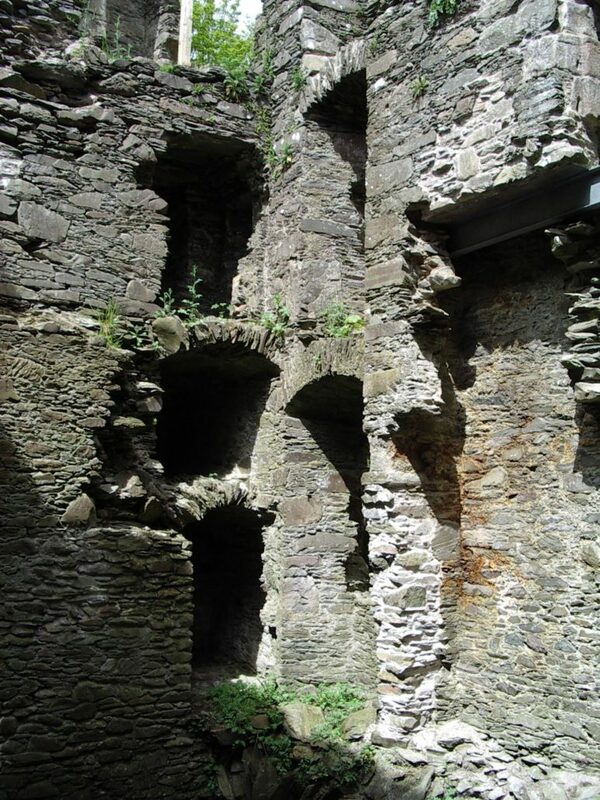 Two vaulted cellars filled up the rest of the main block. 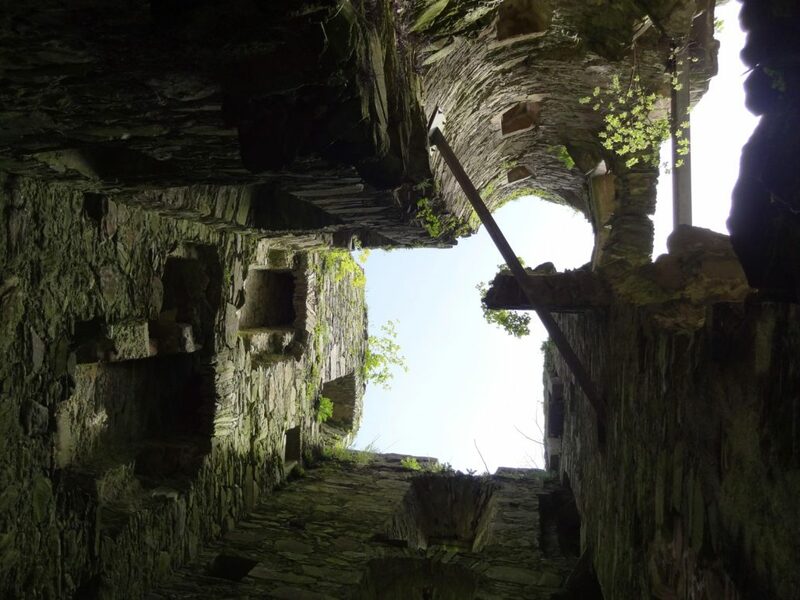 Underneath the main stairway in the wing is another small vault, possibly used to store water which was piped from a well in the surrounding woods. The main stair is handsome, squared scale-and-platt, which is unusual. 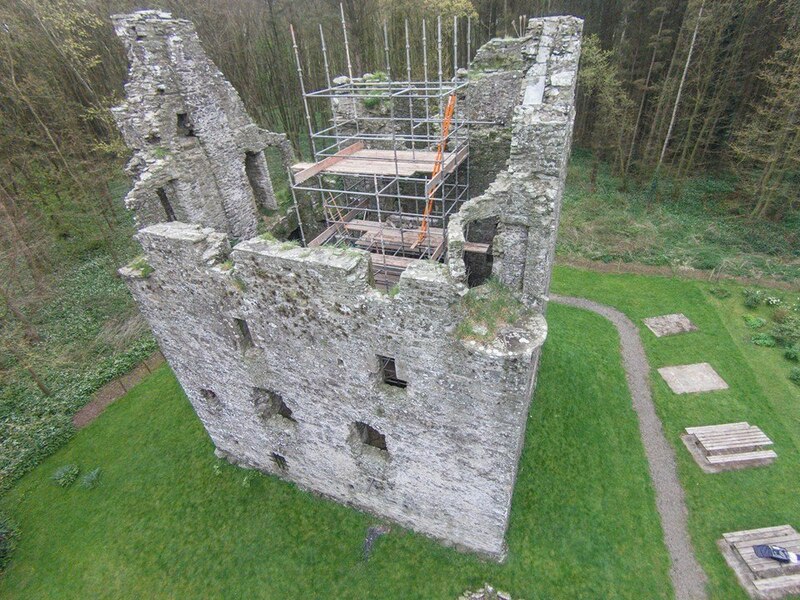 It rises only to the first floor above which ascent is made by the turret stair. 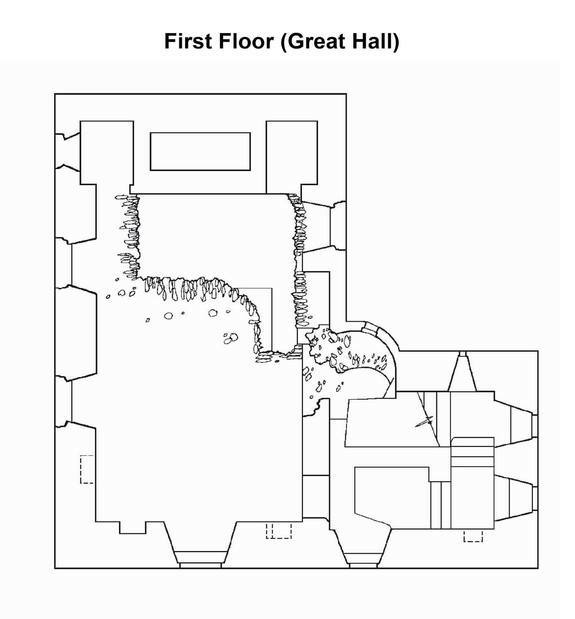 The Hall on the first floor was a fine apartment 27 by 17 feet with a large fireplace in the east wall. 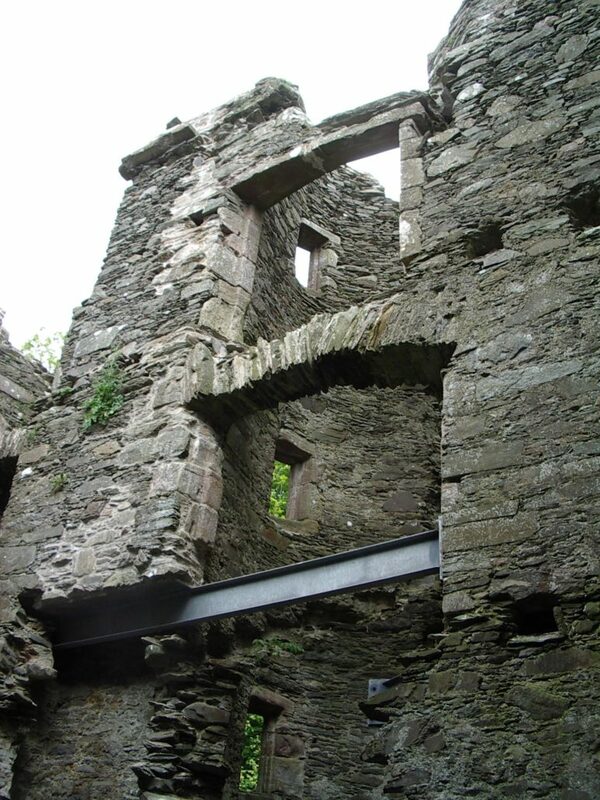 The flue is carried up in the large chimney-stack which abuts the stair-turret. 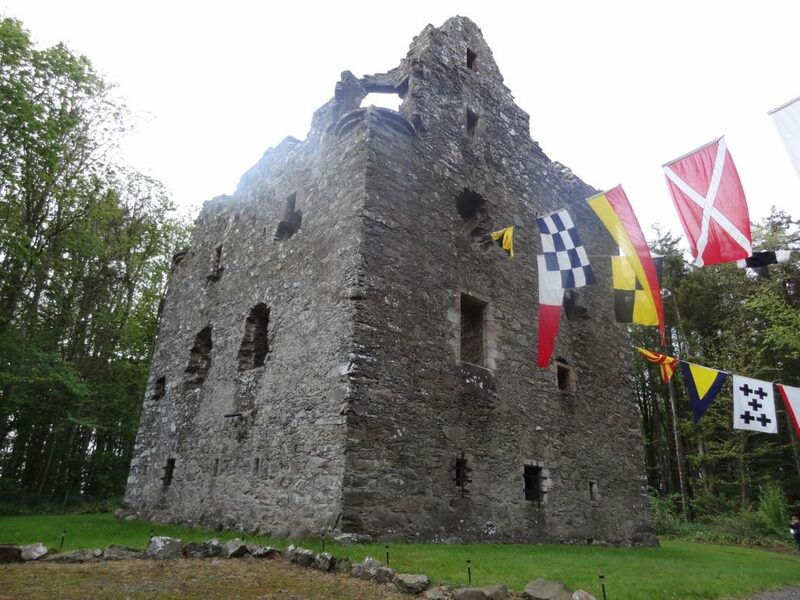 It has two mural chambers in the thick north gable, which also contains the huge flue from the kitchen fireplace and three small aumbries from elsewhere. Above was the usual sleeping accommodation. Odo Hannay, earliest recorded owner, takes possession of the Sorbie land. Latest year by which possession of Sorbie could have passed to Odo’s son* Ethe. The date of Odo’s death is unknown. Robert Hannay dies*. 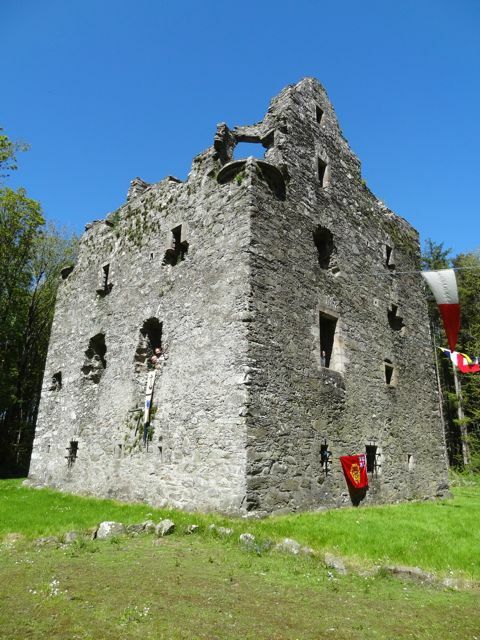 His son Patrick inherits the Sorbie land, but as he is still a minor, it is administered by his uncle Alexander Hannay. 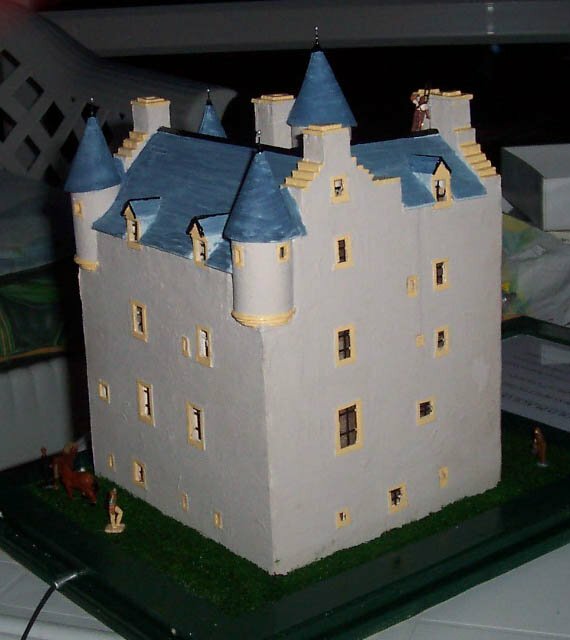 Tower and surrounding grounds given to the Clan Trust by Mrs Jean Cummings. 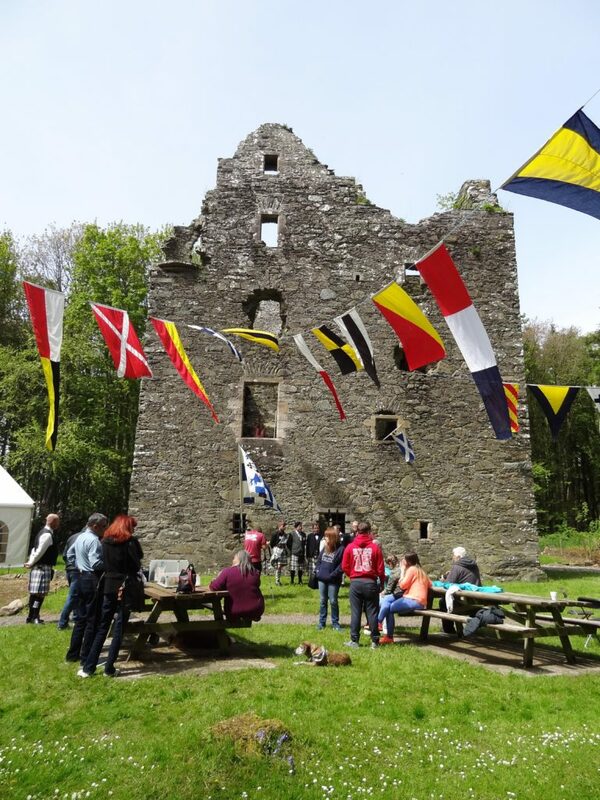 50th Anniversary of the acquisition of Sorbie Tower by the Clan Hannay Society, was celebrated at the annual gathering in May, 2015. * Asterisks indicate a likelihood, but not a certainty, of the dates or family relationships, as historical records for the time indicated are unclear. 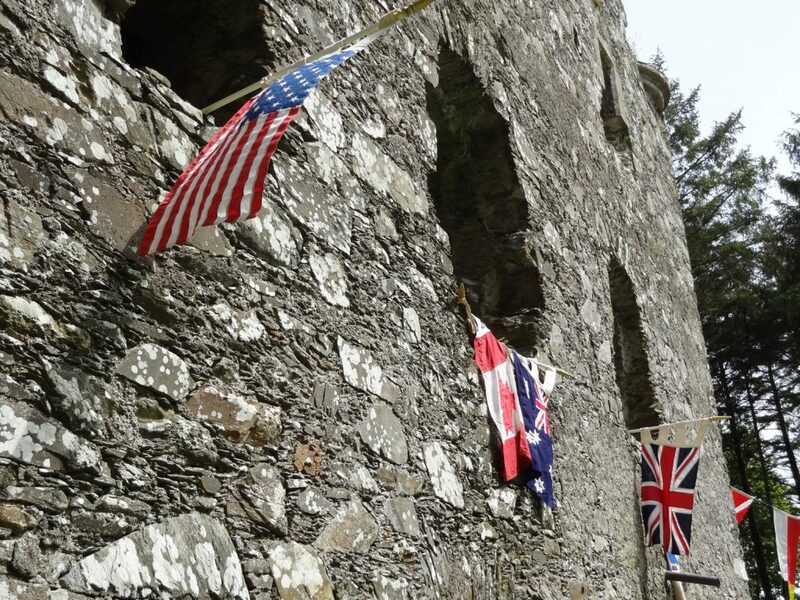 Flags representing some of the various nationalities of Society members. 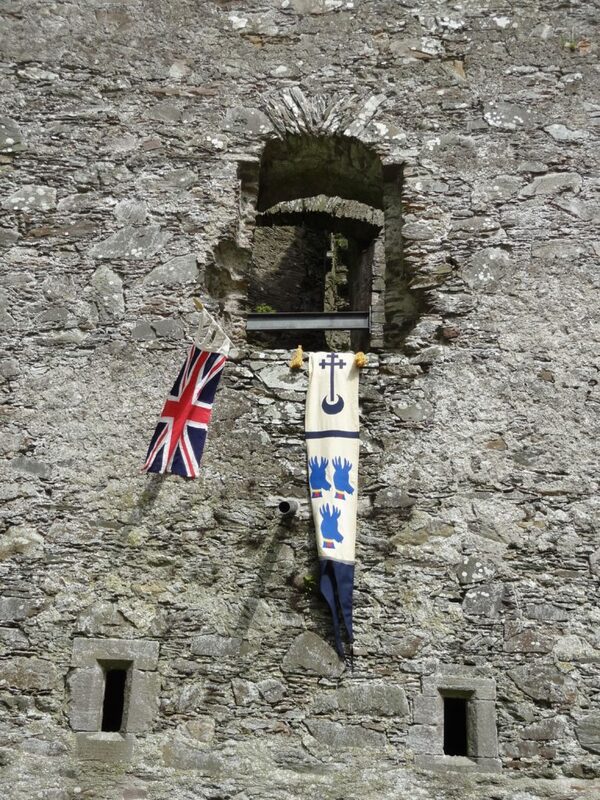 The Union Jack and the banner of the Hannays of Kirkdale hang from a window at Sorbie Tower.